Proudly supplying some of York’s best up and coming restaurants… Foodie heaven. Each and every wholesale catering order is hand prepared on our premises, cut and packed just how you want it, in quantities small enough or large enough for your business needs. We strive to support local farmers and traceability is top of our list of priorities, just as it is on yours. 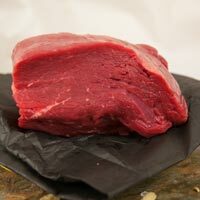 We understand quality and price play vital roles when you choose your butcher. Consistently good quality and standard cuts mean your menu offers diners the best quality and the repeat custom you need. Over the years we’ve become butchery experts, and we would love to come and meet you and discuss how our knowledge and expertise can help your business grow, and even save money. Why Choose the Butchers Block for my business? No minimum delivery volumes in York and immediate areas. Deliveries from Monday to Saturday. Dedicated wholesale butchery team – we hand prepare your order every day. Easy order 24 hours a day – mobile service and out of hours answer service. Competitive pricing – we aim to beat any like for like prices.